The key responsibility of the event organiser is not just to make sure that everybody has a great time but that they have a great time safely. By law, any event, whether it’s a grand ball or a tiny charity fundraiser, must comply with recognised safety standards. The organisers are legally responsible for ensuring the safety of everybody in attendance at the event – not only the guests but the staff too – and are subject to the Health and Safety at Work Act 1974 and other appropriate subordinate legislation. In order to prove that the public are safe in your care it is advisable to carry out a simple risk assessment. 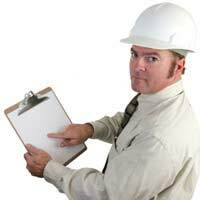 This involves a careful look into what hazards are present at your event, so that you are able to take appropriate steps to either eliminate or minimise them. A hazard can be defined as anything that can cause harm, such as open flames, contaminated food or slippery surfaces. Highlight all the prospective hazards. Determine which people are at risk and how might they be harmed. Control the risks. Do the existing measures meet legal requirements and event standards? Do they reduce the risks adequately? If not then an action plan to minimise and eliminate them should be drawn up. When identifying the potential hazards of your event it is important to not overlook the more vulnerable attendees, such as the elderly, the disabled and the very young. It is also worth considering whether factors like the number of people expected to attend, and activity excitement levels will have a bearing on the hazard risk. A short independent safety assessment is required for each attraction or activity that presents its own potential risks. This would include amusements like bouncy castles and carousels, activities like bungee jumping and go-karting and anything that involves hazardous aspects like vehicles, animals, weapons or fire. Being a constant and easily identifiable and located presence at the event site. Checking the site reaches satisfactory safety levels before the event begins. Monitoring the safety of the site whilst the event is in progress. Having the authority to close down any part of the event at any time as a result of safety concerns. Being in constant communication with the event management. In the early stages of event organisation it is a good idea to strike up a communication link with the local council and emergency services. Their experience and expert advice could prove invaluable to the safe running of your event. The police will offer advice and, if appropriate, may assist with aspects such as crowd control, emergency access and local traffic supervision. It is advisable to contact your local fire brigade safety officer for advice concerning the provision of sufficient fire fighting equipment and emergency procedure. A first aid box and a certified first aider are usually adequate precaution for small events, but with larger ones it is worth contacting a voluntary aid society, such as St John Ambulance or the British Red Cross Association, for on site cover. For general advice about your event, carrying out a risk assessment and other rules and regulations, it is worthwhile contacting your local council.